In this issue of Easy Parenting : Handbag sized for convenience, Easy Parenting magazine offers expectant mums and mothers of small children advice on all aspects of her pregnancy journey, early motherhood and beyond. 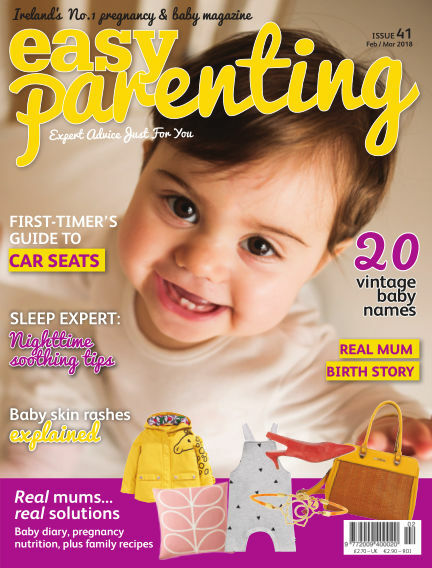 Jam packed with information with a price tag of just €2, Easy Parenting is an easy to navigate magazine with four sections – pregnancy, precious beginnings, just for you and family. It has a diverse nationwide distribution through all good newsagents, supermarket chains and home delivery. With Readly you can read Easy Parenting (issue Issue 41) and thousands of other magazines on your tablet and smartphone. Get access to all with just one subscription. New releases and back issues – all included.